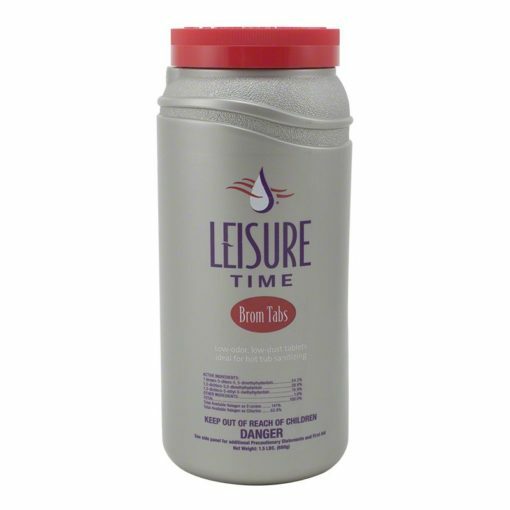 Leisure Time Bromine Tabs are low odor, low-dust tablets that fit in all floaters. Tablets will sanitize your spa and hot tub water, keeping it clean, clear, and free of odors. 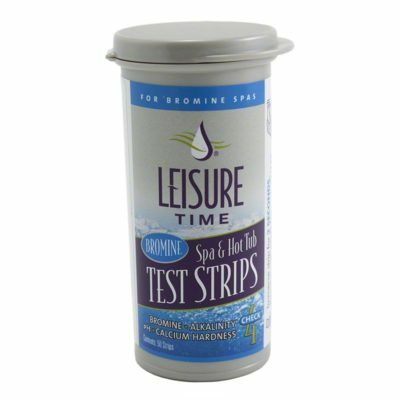 These easy to dose tablets give your spa the effectiveness of chlorine without the chlorine odor. The tablets are compatible with bromine sanitizing systems and create faster bromine residual for spa start-up. 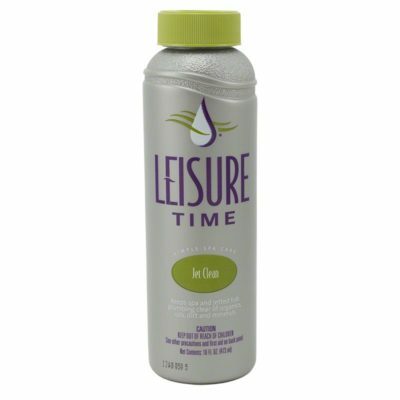 Before using this product in your spa or hot tub for the first time, add 1/2 ounce of sodium bromide per 100 gallons of water to establish a 30 ppm bromide concentration. Also, add sodium bromide at this dosage whenever the spa or hot tub is drained and refilled. The bromide addition ensures immediate establishment of an all-bromide system, eliminates chlorinous odors and maximizes skin and eye contact. Spa or Hot Tub Start Up: To start up a new spa or hot tub, or one recently drained, clean all surfaces, backflush or clean the filter, chemically balance the calcium hardness or total alkalinity, treat for metals if present (iron, copper and manganese), and adjust pH to 7.2 – 7.8. Using a suitable feeder adjusted according to manufacturer’s directions, add this product to maintain an active bromine concentration of 2 to 4 ppm in residential spas and 3 to 6 ppm in commercial spas. Use a reliable test kit to monitor regularly. This product usage will typically vary from 0.015 to 0.10 pound for every 300 gallons of spa water to maintain the recommended bromine concentration range. The presence of organic debris, high bather use and other factors may require a lower dosage. SuperOxidation: Water soluble, non-filterable wasters can accumulate in spa or hot tub water and cause dull or cloudy water and can simulate algal growth. Superoxidation or superchlorination with a suitable oxidizing shock treatment must be done on a regular basis to remove these wastes and maintain clear sparkling water. Suitable oxidizing agents are those based on calcium hypochlorite, lithium hypochlorite, sodium hypochlorite or potassium peroxymonopersulfate.